Manila, Philippines - SM City BF Paranaque, the 48th mall of the country's biggest mall developer SM Prime Holdings opens on Friday, November 29, 2013. Great shopping, leisure and entertainment experience now goes to South Metro area. 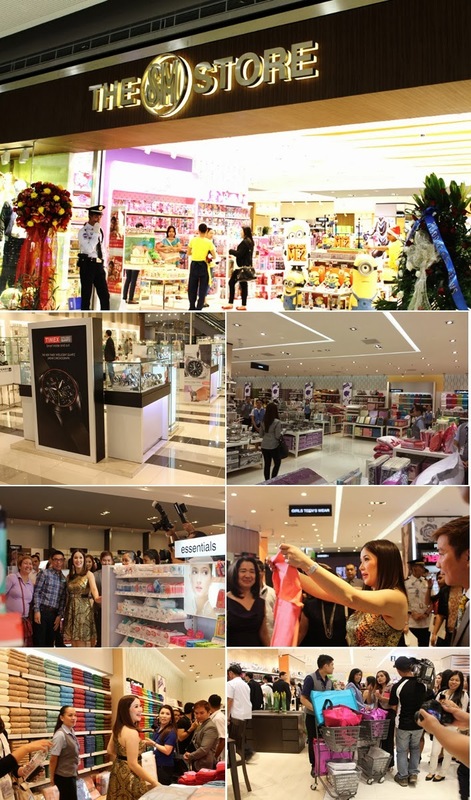 A day before its grand opening day, Queen of Talk Ms. Kris Aquino led the ribbon cutting and mall blessing. Mr. Hans Sy, President of SM Prime Holdings, Inc. and Mr. Jorge Mendiola, SM Store President joined Aquino for the ceremony. Aquino, the new ambassador of SM Store graces the event as she took tour in the selected sections of the Store and Supermarket. The Queen of All Media enjoyed shopping on her favorite sections which includes top of the line products for Beauty and Gift Registry in the Ground Floor; Shoes and Bags, Ladies Accessories and Ladies Fashion in the Second Floor and Home shopping at the Third Level. A happy Kris talked about how she loves shopping at SM Store. She perfectly chose amazing product that suits to her style. "SM Store has excellent value for money and everything for the whole family", she said. Since childhood, Kris admits that she is patronizing the brand. For her, Christmas shopping is not Christmas if it is not done at The SM Store. It's a tradition that's part of every Filipino's life. Kris also loves the Supermarket section of the mall. All the needed services and sections such as appliance, home, food, vegetable, fruits, beverage and pharmacy are all available. 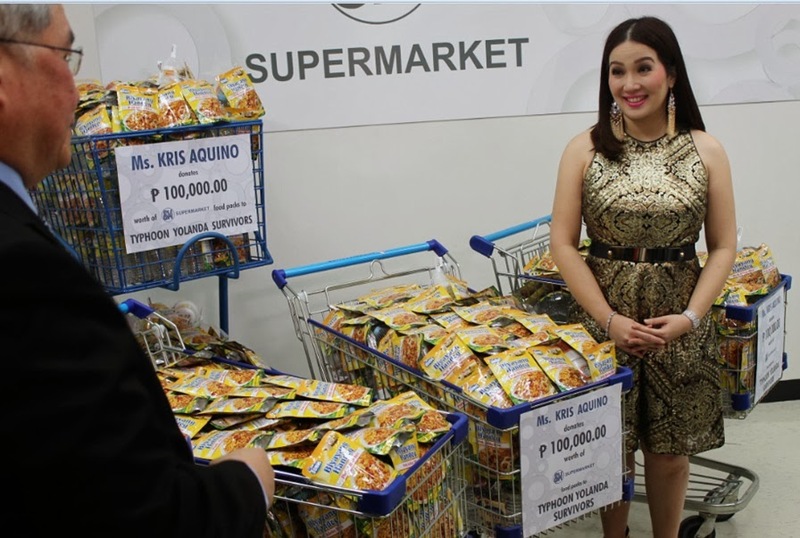 Before the tour ends, a surprise revealed as she donates P 100,000 worth of grocery packs for Typhoon Yolanda survivors. This is in coordination with SM Supermarket and Save More President Mr. Joey Mendoza. 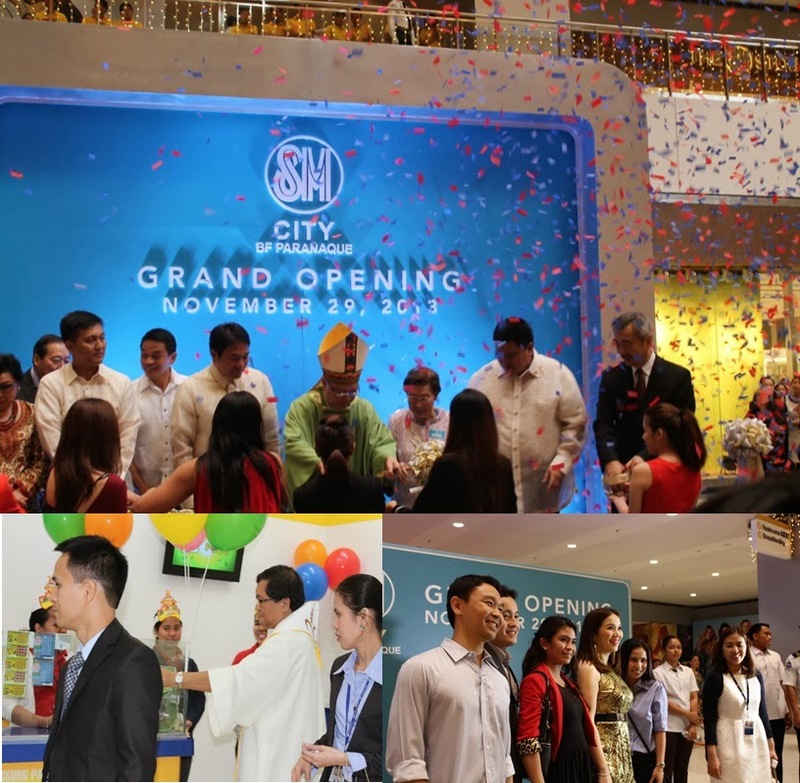 SM City BF Paranaque also known as 'SM BF' is the 5th supermall in the South Metro Manila after SM South Mall, SM City Sucat, SM City Bicutan and SM Center Las Piñas. It is located on a prime location along Dr. A Santos and President's Avenue. 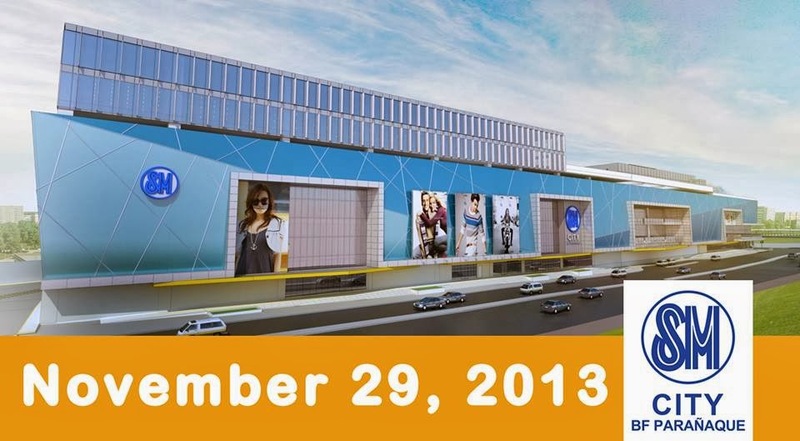 The 120,390 square-meter 3-level mall will serve shoppers in Paranaque, Las Piñas and Alabang area. Strategically constructed near the BF Homes area known as a preferred place of residence for many years. SM BF creates a memorable identity with bold, varied, and dynamic exterior wall surfaces that create a vivid backdrop for several prominent entrances. All entrances have bright colors strategically applied to create a dynamic facade, creating visual interest as well as memorable retail icon. The mall's interiors are organized around a soaring three-level central atrium with the design of clear line of sight to every shop and restaurant. Its Activity Center is also designed to give ample space for fashion shows, concerts and other events. Aside from the SM Store and Supermarket, mainstays like SM Appliance Center, ACE Hardware and Watsons are also ready and open to serve the public. Meanwhile, Global brands Uniqlo, Cotton On, Mango, Aldo, Nautica and Giordano will add more excitement at SM BF when their shop opens. The Cyberzone located at the Third Level will surely draw attention of the tech enthusiasts. SM City BF Parañaque will also have four state of the art digital auditoriums and pair of Director's Club theaters perfect for cinema experience tailored for the specific needs of moviegoers.